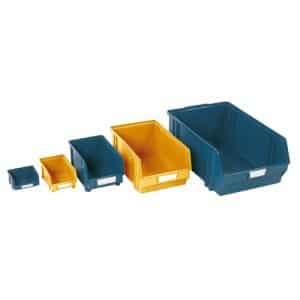 We have a great range of packing bins and shelving to go with it so you can choose the right one for you. We have various shapes and sizes. 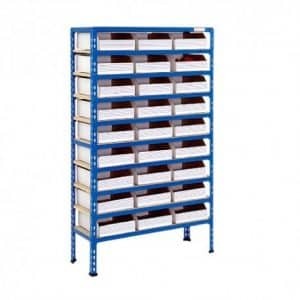 We have Medium Duty Shelving with 62 bins. 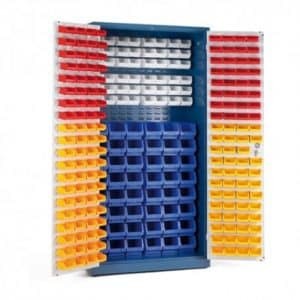 You can choose Medium Duty Shelving with 6 or 8 pickmaster boxes. 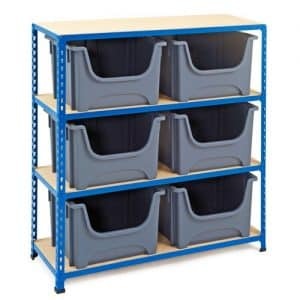 We also have Medium Duty Shelving containing cardboard storage bin kits with 27, 36, 54, 72 or 90 bins. 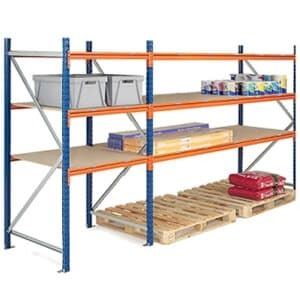 We can also provide you with Medium Duty Shelving with 36, 45 or 88 plastic bin bays. 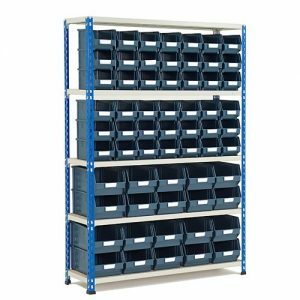 We have Heavy Duty Shelving with 40 open fronted Eurocontainers or Medium Duty Shelving with 12 or 16 open fronted Eurocontainers. 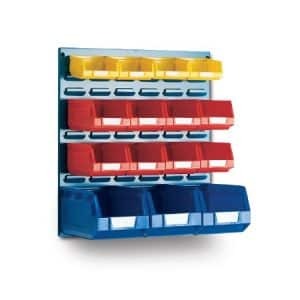 We have small parts cabinets with 12, 24, or 48 drawers or you can order a cabinet with 30 drawers on a trolley. Also available are budget lockable bin cupboards. These have 24, 36 or 44 bins and are either full or half size. 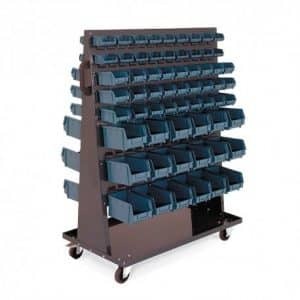 There are cupboards with louvre panel sides and rear which fit in many different bins, The cupboard can be bought with the bins included or not. 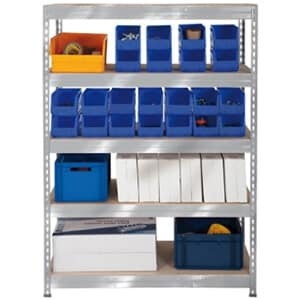 We have a range of budget bin cabinets which are half height and contain 8, 15, 24, 48 or 54 bins. There are full sized ones with a choice if numbers of bins, colours and sizes of bin. 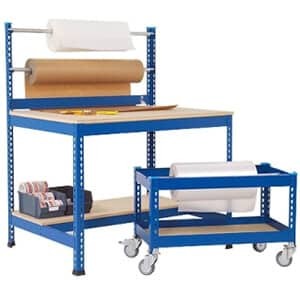 There is also a budget bin trolley available which is double sided and has different sized bins. 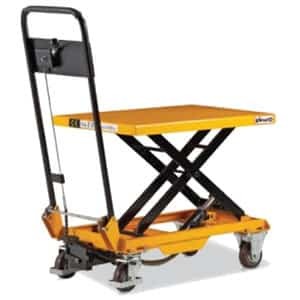 Everything is of a great quality and offers good value for money. There are budget ranges for those that do not want to spend out as much money. 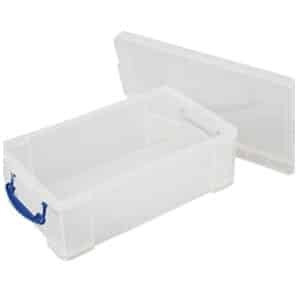 Most of the items come with the packing bins included so you do not have to find those separately and you will easily be able to fit everything together when it arrives. You will know then that everything will fit together perfectly.